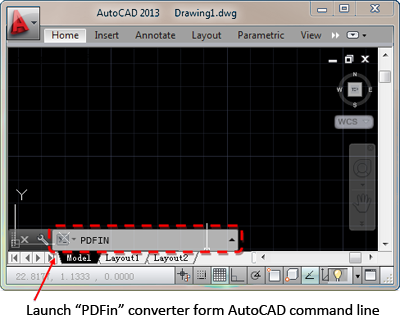 AutoDWG PDFin AutoCAD Plug-in, Faster than ever! The latest version of this PDFin AutoCAD Plug-in 2016 has been released recently. 1. What is the Vector PDF? 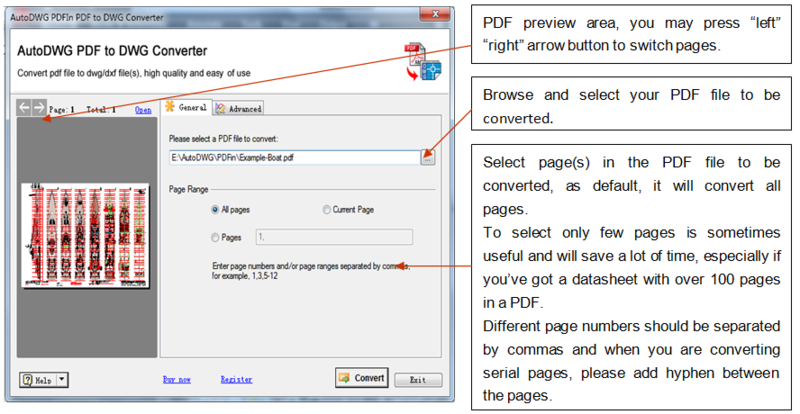 Converting PDF into DWG and DXF, this converter is of high quality and easy to use. Please wait a few moments while the program is processing, then your file conversion is Done! 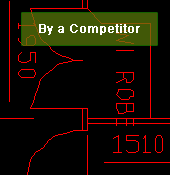 You’ll like it when you find the converted looks great and – it is editable. But touch up work may still needed for the PDF file loses part of original detail which is irrevocable since PDF file contains no layer. Anyway you saved much time than totally redrawing. The dialog-box explained explains itself; please find more details as follows. http://www.autodwg.com/download/PDF2DWG-SA2015.exe Please contact us to alter your license at a fee, if you’ve purchased incorrect version. (1) Please go to the program installed folder where PDF to DWG Converter stored (as default it should installed to c:\Program Files\AutoDWG\PDFin), please find out and run the program autoload.exe and launch the AutoCAD again. (2) Please try command “PDFin”, if it still won’t work, please from command line enter "ARX", and then press "L" to load, and then go to the program folder where PDF to DWG Converter installed, select appropriate arx version match to your AutoCAD version, see the table below. Question 2: Why my converted drawing looks jaggy/looks like a picture, and is not editable? There are two different types of PDF files, Raster PDF and Vector PDF. So that you will get various qualities of created CAD drawing files when converting them back into vector formats of DWG and DXF. 1. Vector PDF uses math to draw shapes using points, lines and curves. 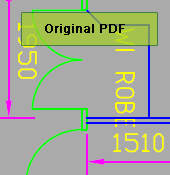 Typically electrically created PDF originally from CAD program, or published/converted from CAD drawing files. 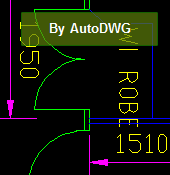 PDFin can create crystal clear and editable DWG's with Vector type of PDF files. 2. Raster PDF is an image made of hundreds (or thousands or millions) of tiny squares of color information, referred to as either pixels or dots, typical scanned PDF, or photos in a PDF, there are only bitmapped image of the sheets, PDFin simply bring image into AutoCAD background for you draft as overlay, lines etc in the image won’t been edit/removed – if you wish to trace the bitmapped image as vector line segments then AutoDWG PDF to DWG stand-alone version may works for you, which featured with raster to vector conversion, and it’s convert result will depends on how good the scan images are. Please contact us for file conversion evaluation and license alter.